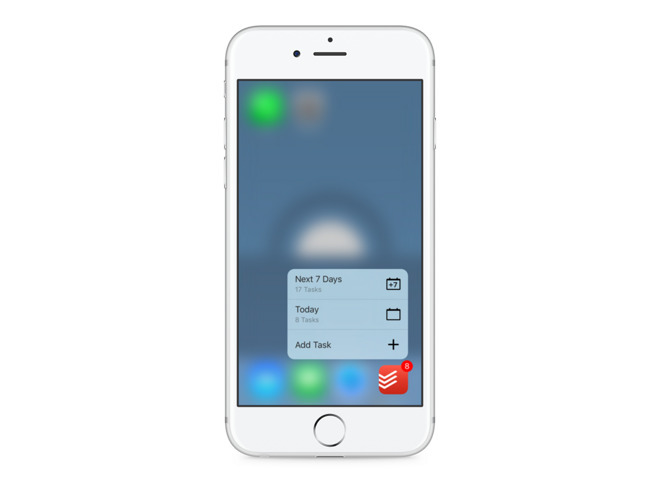 The Todoist iOS app now supports 3D Touch on the iPhone 6s and 6s Plus. From the homescreen, users can quickly create a task, or check existing tasks for either the current day or the next week. Within the app people can preview a Web link without actually opening it. Other iOS improvements include Spotlight search integration, iPad keyboard shortcuts, and the ability to respond to comments from notifications. Support for "deep" linking, meanwhile, should take users directly to a task, comment, or list within the app, instead of opening up the Todoist website in a Web browser. 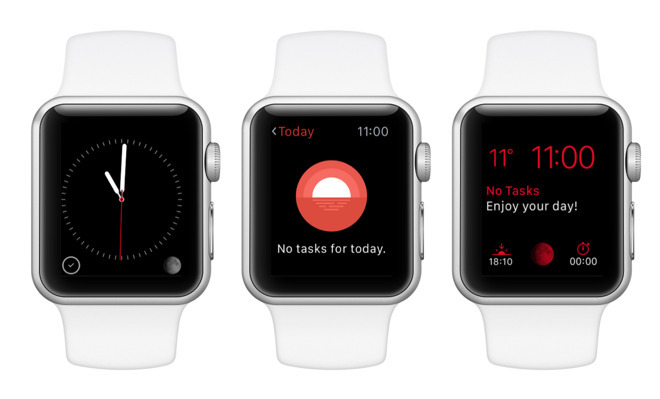 Bundled with the iOS code is a redone Apple Watch app, now native for watchOS 2. The app should load much faster as a result, automatically syncing tasks and projects. It also offers watchface complications, such as the next upcoming task, or the number of items left to do for the day. 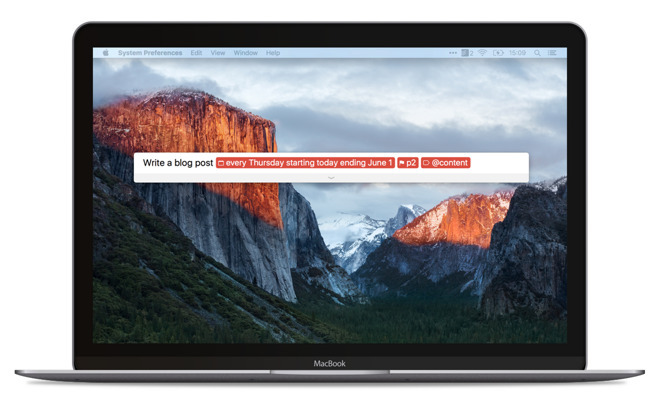 The Mac software includes a redesigned Quick Add Shortcut supporting natural language input for labels, projects, and deadlines. The shortcut can be invoked by hitting Shift-Command-A from anywhere in OS X. The new Safari plugin functions similarly to the Quick Add Shortcut, including the same natural language support. All of Wednesday's updates are free downloads, though some features —like automatic backups and location alerts —require a Premium subscription, which costs $28.99 per year.